In our hurried life nowadays, it gets harder every day to find a quiet time and a place of solitude, a place to sit and smell fresh air, or hear the breeze blow through the trees as if God is talking all around you, a place where God's creatures roam freely and in the spring and summer flowers blossom. Such a place can be found in Edwardsville, Kansas. 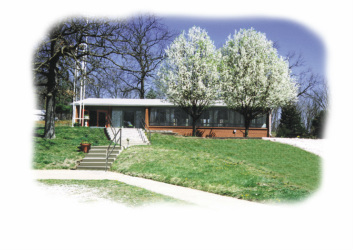 St. Martin in the Fields Episcopal Church is a small town country church located at 1501 Edwardsville Drive on a beautiful hillside with scenery to take your breath away. This is an open invitation extended with love to anyone to come and join us, an invitation to pass on to your friends and neighbors. Holy Eucharist or Morning Prayer every Sunday at 10:00 a.m.